If you want positive results from prayer, you first need to pray! But so many people who say they believe in the power of prayer actually pray very little . . . or not at all. It's time to get serious about prayer. 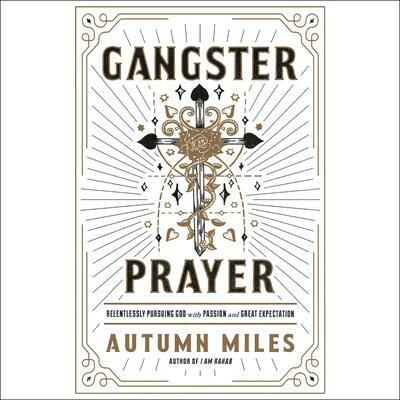 Autumn Miles says that we must stop being prayer wimps and instead be transformed into "prayer gangsters"-people who are dangerously passionate about their faith and loyalty to God. Autumn Miles had reached a point in her life where she was sick of hearing about answered prayers in other people's lives but not seeing any in her own. Having grown up in the church as a pastor's kid, she knew how to pray using certain words in just the right style that impressed those around her, but her prayers did nothing to draw her closer to God and what He wanted to do in and through her life. Prayer was a dead language in her life, yet she was desperate to see answers to her prayers. Frustrated with God, she had an epiphany that her prayer life had a foundation of doubt and not faith, which changed the focus and purpose of her prayers. Autumn believes that God wants to give us so much more than what we've been settling for. It's time our prayer life, which has been mediocre at best, becomes something that is more fervent, more intentional, and highly expectant of seeing God answer prayers and work in our lives every single day. GANGSTER PRAYER won't teach you how to pray, because that has distracted the church long enough. Instead, it will help reveal the heart behind a believing prayer and put the focus back on who we are praying to instead of on what we are praying for. With a changed perspective and objective, we can finally see the results from prayer we've been longing for-not just answers but a changed life.